eGuide to Andalucia - Clarinda Parques S.L. 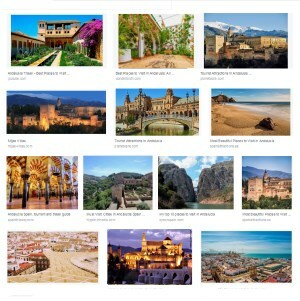 Andalusia's hinterland is the hottest area of Europe in the most southern region of Spain, with the historic and cultural cities like Ronda, Málaga, Jerez, Cádiz, Córdoba, Granada and Seville averaging above 36 °C (97 °F) in summer high temperatures. Late evening temperatures can sometimes stay around 35 °C (95 °F) until close to midnight, with daytime highs of over 40 °C (104 °F) common. 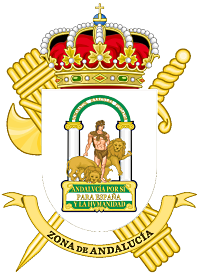 Seville also has the highest average annual temperature in mainland Spain and mainland Europe (19.2 °C). The southern Spanish region of Andalusia is famous for its fascinating history and infectiously exuberant lifestyle. Its towns are always lively, and you’ll love exploring its scenic coasts and picturesque whitewashed villages. And the main cities are easy to reach from central Spain and other regions thanks to the high-speed train, or AVE.
For nearly eight centuries, Andalusia was under Islamic rule, leading to the golden age of al-Ándalus, a period of intellectual development now known as the Andalusian legacy. The impressive cultural heritage of that time has left some of the world’s most beautiful and significant buildings, such as the Historic City of Ronda, the Great Mosque of Cordoba, the Giralda in Seville and the Alhambra in Granada, which are all well worth a visit.